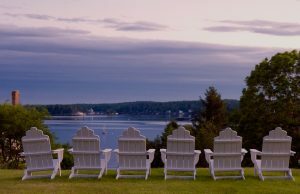 Boothbay Harbor, Maine is a popular destination for yachting, dining, and outdoor fun. But did you know it’s also a great place to shop? From clothing and jewelry to one-of-a-kind items, downtown Boothbay has something for everyone! The next time you need a little retail therapy, plan a trip to our seaside village and enjoy some Boothbay Harbor shopping. Here are a few of our favorite stores. Find out how you can plan the ultimate Boothbay Harbor shopping trip when you download our free Vacation Guide! 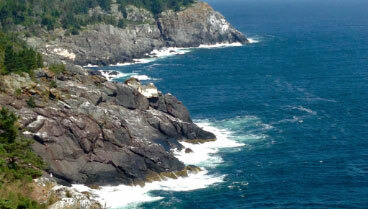 It’s full of our recommendations for great places to visit during your stay at Topside Inn. With over half a dozen galleries to choose from, Boothbay Harbor offers ample opportunity to enhance your living space. Feel free to spend an afternoon admiring a wide variety of pieces crafted by acclaimed artists. Abacus Gallery: Abacus started off small and has since grown into five locations. At the gallery in Boothbay, you’ll find paintings, prints, jewelry and sculptures, all made by local and regional artisans. Studio 53 Fine Art: Located along the inner harbor waterfront, Studio 53 offers an exciting collection of work on display and for sale. Be sure to stroll through the sculpture garden while you’re there. Lobster, chowder, and whoopie pies, oh my! 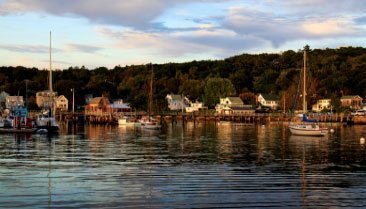 Boothbay Harbor boasts a distinct coastal flavor that’s seriously hard to beat. To evoke memories of your trip long after you leave, consider purchasing spices or sauces from a local food store. You’ll love being able to recreate some of your favorite Maine dishes at home! Eventide Specialties: Eventide is a great place to pick up a unique gift for the foodie in your life. Simply purchase a bottle of specialty olive oil or balsamic vinegar and your friend or family member will be forever grateful. They might even whip up a meal for you! East Boothbay General Store: If you’ve worked up an appetite while shopping, you’re in luck. The East Boothbay General Store is a great place to stop for lunch. Food, snacks, and souvenirs are all available at this hotspot. Incorporating Maine’s classic style into your home will make you feel like you’re on vacation all year long! Check out a few of our favorite places to shop for coastal-inspired home décor. Casual Interiors: Whether you’re decorating an entire room or a small part of your house, Casual Interiors has everything you need. This store carries pillows, rugs, lamps, throws, and more. They even offer design services like color consultations and upholstery. Seawicks Candle Company: Another great way to bring a little bit of Maine into your home is with a Seawicks Candle. These 100% soy wax candles come in unique fragrances like Coastal Storm, Blueberry Fest, and Cottage Lilac, just to name a few. 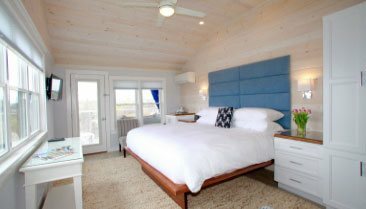 After a wonderful shopping trip, head back to Topside Inn and unwind! Our bed and breakfast is just a short drive from downtown Boothbay Harbor and has everything you need for a relaxing getaway. Enjoy comfortable accommodations, top-notch amenities, and beautiful views throughout your stay. 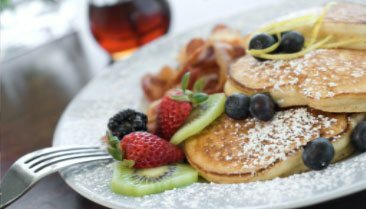 We even provide a delicious gourmet breakfast each morning! Check our availability and reserve your room today. We look forward to having you!